If you have ever been to IKEA, you know that one of the most surreal experiences is finding a whole cafeteria in the midst of this giant building devoted to selling you bookshelves and couches with confusing Swedish names. So what is it like when people try IKEA food for the first time? This BuzzFeed video gives IKEA novices a glimpse of what to expect, while for IKEA pros, it provides a bit of nostalgia. 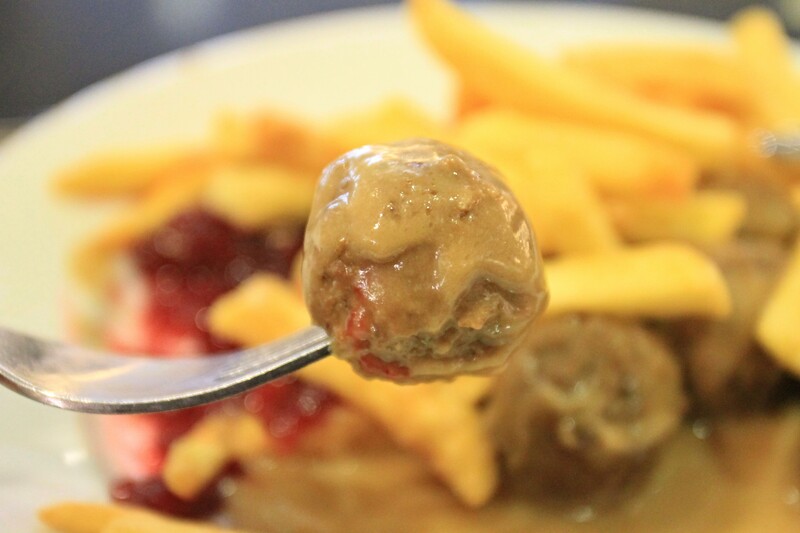 Ah, the first time we tasted meatballs with lingonberry sauce! What a time! It's hard to explain the strange attraction of IKEA food. It isn't what you'd call the height of fine cuisine. It also tends to contain some interesting items that I can only assume are normal in Sweden but downright baffling to most Americans, like this Christmas drink called Dryck Julmust. It seems to be some kind of cola with hops and explains itself only as a "Swedish festive drink." I tried it when I found it at IKEA once. It was weird. And yet there is something about IKEA food that has a certain appeal. Maybe it's the comfort it provides when you walk into a giant furniture store where you're unsure how to pronounce anything you might want to buy — it helps you cope with the admittedly overwhelming atmosphere. Or maybe it's just the fact that it's cheap. Either way, here are a few reactions these IKEA newbies had trying the food for the first time; scroll down to watch the full video. 2. "If I Was Really Hungry..."
3. "IKEA Has Figured Out How To Make Thanksgiving Into Every Dish"
4. "It's a Great Deal." And, unsurprisingly, everyone loves cake. See all the reactions here.